Step right in if you’re looking to transform yourself. Iconfit Club is more than just about fitness. It is where strangers become friends, and friends become family. 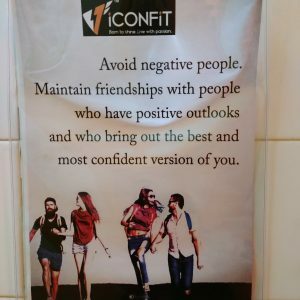 Step into iCONFiT and all your worries as a fitness noob will go right out the window. There is no pre-conceived notion that an unfit person does not belong there. 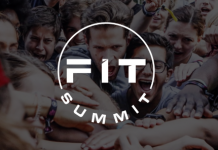 There is only one criterion that Iconfit looks for in a member – the willingness to be a better version of themselves. At iCONFiT and the first thing that happens may shock you – they will come up and greet you with a huge smile on their face. If that doesn’t shock you, the sincerity of welcoming you to their centre might. You may see trainers greeting each other as if they’ve been friends for a long time. And if you’re a newbie, you may release a breath of relief as not all of their trainers are of the skinny and fit versions. All body types are welcomed and no one is pre-judged; not even the unfit. 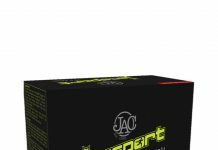 iCONFiT’s workouts are easy to follow. In fact, it’s mostly energetic and fun! So if you’re looking for a fun place to be then you’re at the right place. Pick your preferred workout from aero dance, fitness drumming, tabata, yoga, zumba and more. Don’t be afraid if you don’t know the moves in the beginning. 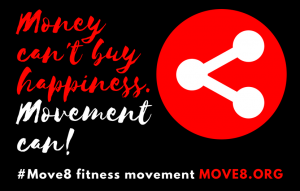 iCONFiT trainers know how hard it can be for a beginner so they will encourage that you simply try to move. Their movements may look intimidating at first but it’s repetitive so anyone will be able to pick up the pace at the end of a session. It is also packed with so much fun that you don’t notice how much you have worked your muscles until the next day. iCONFiT does not discriminate – their trainers literally come in all shapes and sizes. Some has lost weight since joining the fitness centre, while others have gained weight. What they all have in common is sincerity and compassion. They have this uncanny ability to be able to remember names and faces. So don’t be surprised when you’re greeted by name the next time you step into their centre. 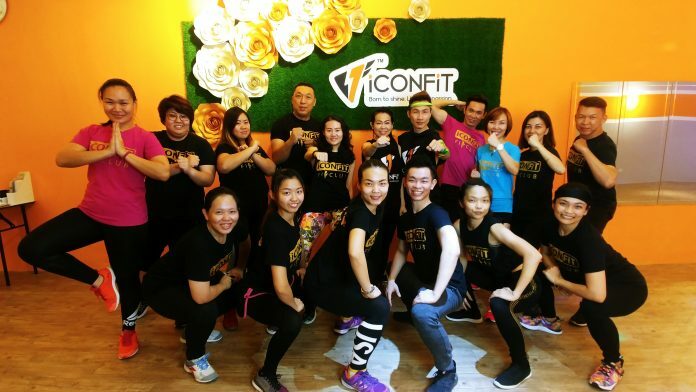 Unlike most fitness centres, most of iCONFiT trainers began their fitness journey there themselves. They’re the perfect testament of what the centre can do for you. Some began their journey as shy and introverted. Today, they’re full of confidence, extroverted and, yes, fitter than when their journey began. 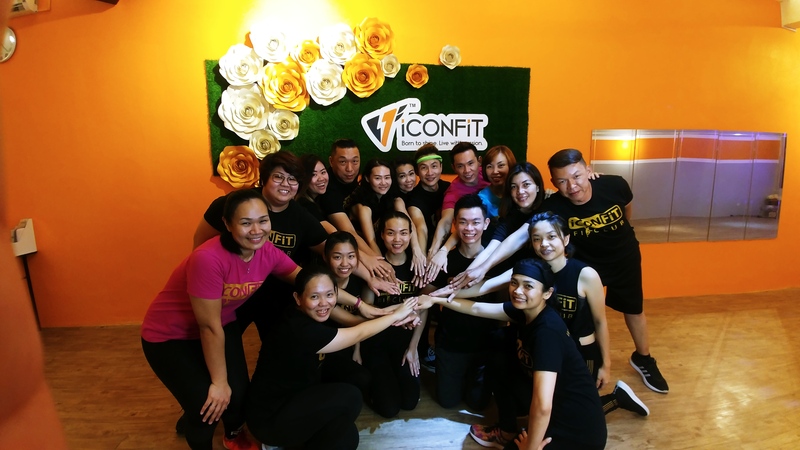 Established in 2014, iCONFiT Club was created by two like-minded individuals to create a community with a strong belief in living a healthy and active lifestyle. From humble beginnings at KLCC Park, they now have more than 19 outlets in Malaysia’s Klang Valley, Johor Bahru. They’re also looking to open new outlets in Melaka and Perak. The Club believes that knowledge should be shared. This is part of their support system. They don’t only encourage you to be the best version of yourself by getting fitter. They encourage you to take care of your emotional, mental, and spiritual health as well. Check out iCONFiT Club on Facebook today.